I have fished the ‘South Hams’ for bass, wrasse, rays and pollack since I was 9 years old. However, the hard fighting, and sometimes elusive bass has been the number one target for the past 15 years – with lure fishing in particular the general method of choice. Thank you for visiting my website/blog. My aim is to express my experiences of finding new marks, reviews on equipment, the methods I use and a diary of the fish that my clients and I catch. Moreover, I hope you find the content a useful resource that enables you to catch bass, be it your first, your largest or increases the numbers you land. I welcome any feedback or comments. Having been inspired by bass angling legends such as Mike Ladle and John Darling, it took me a number of seasons through my teenage years to even hook my first bass (on an original Rapala plug) which subsequently ran across a finger of rock, resulting in the line parting – I think I nearly cried!! Since that moment it has been my mission to learn as much as possible about the when, where, why and how to catch what is, in my humble opinion the most sporting sea fish in UK waters. 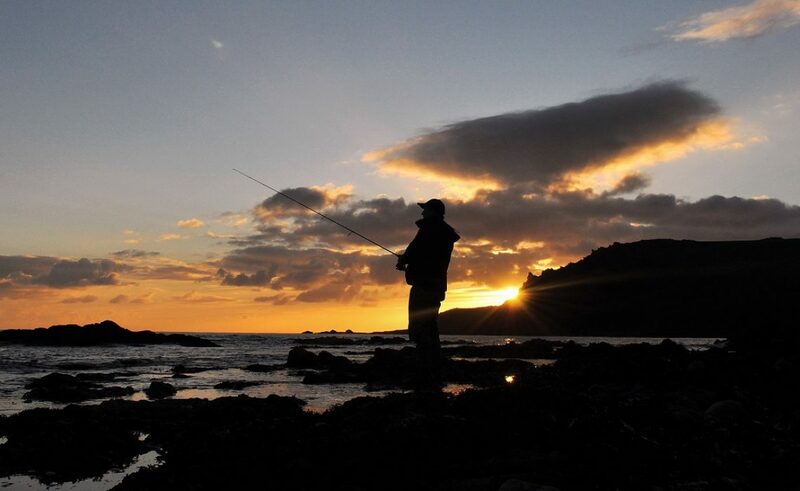 I’ve caught bass from a multitude of varying locations along this stunning stretch of coastline; in all weather conditions, times of day and states of tide. And it is this hard earned knowledge that will provide a fast-track to your own success, learning and happy memories of catching this supreme predator.